The holiday season is gone, but that doesn’t mean that all the great sales have come to an end. Gearbest is hosting a Homtom Brand Sale that started on January 19 and will last until January 25. The lineup of products is quite impressive, customers can get the Homtom HT3, Homtom HT7, Homtom HT6, and the Homtom HT5 for extremely advantageous prices if they order them before the brand sale expires. All of the smartphones that are on sale are great, users just have to check out which one better soothes them, and order it before the brand sale ends. 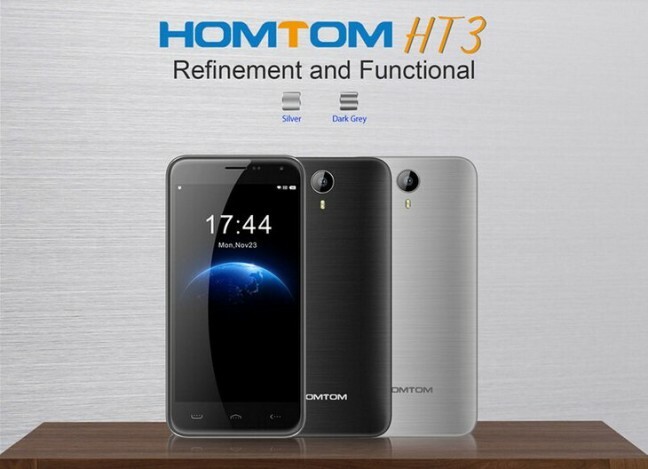 The Homtom HT3 is the latest addition to the company’s lineup of affordable but good quality smartphones. The smartphone is available for pre-sale for $55.99 if you order it before January 25, and it will ship after January 31. The device has a beautiful and simple design, with rounded edges and a 2.5D curved screen that perfectly matches the back plate of the smartphone which has a nice, textured design. The HT3 is available in silver and dark grey colors, and they are both equally beautiful. The 5-inch display of the smartphone has a 1280×720 pixels resolution which will deliver good quality images and makes the device perfect for watching videos and playing games. It is powered by a quad-core MTK6580 processor clocked at 1.3GHz and a Mali-400 MP, and it runs on Android 5.1 Lollipop. The device includes 1GB of RAM and 8GB of internal storage, which can be further extended thanks to the TF card slot of the handset. The Homtom HT3 has a 5MP (SW 8MP) and a 2MP (SW 5MP) camera, with autofocus and flashlight, so users will be able to capture all their memories with the help of their HT3 smartphone. Other features of the smartphone include a proximity sensor, ambient light sensor, gravity sensor, GPS, WiFI, Bluetooth, sound recorder, alarm, calendar, calculator, and a quite impressive, 3000mAh battery that will be able to ensure a more than reasonable battery life. The Homtom HT7 is one eye-catching device, with an appealing design and a unique, patterned back plate that differentiates the HT7 from any other smartphone. 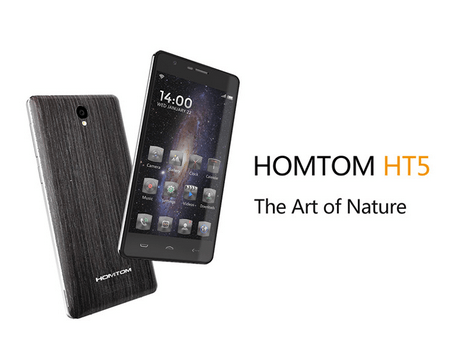 The HT7 is available for $59.99 if you order it before the Homtom Brand Sale ends on January 25. The HT7 has a larger, 5.5-inch screen that has the same 1280×720 pixels resolution as its younger sibling, the HT3. It’s powered by a quad-core MTK6580 processor clocked at 1.0GHz and has the same Mali-400 MP GPU as the HT3. The smartphone includes 1GB of RAM and 8GB of internal storage. This can be extended by up to 64GB due to the fact that the device can use the second SIM card slot as a TF card slot also. The Homtom HT7 runs on Android 5.1 Lollipop so users will be able to enjoy everything the operating system has to offer. Thanks to the 5MP (SW 8MP) back camera and the 2MP (SW 5MP) front-facing camera of the device users will be able to capture amazing still images and good quality videos, so none of their memories will be forgotten. According to the manufacturer, the 3000mAh battery of the smartphone is able to last for up to 3 days on a single charge, so users won’t run out of juice in the middle of the day, when they most need their smartphones. All this can be yours for $59.99, so don’t waste any more time and order it before the Homtom Brand Sale ends. If you order the device between January 20 and January 22, you will also get a glass protective film, a silica case and a protective case for the price of the product. 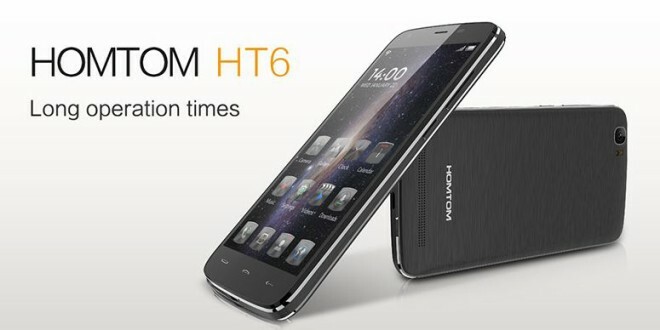 The HT6 is probably the most impressive smartphone in the Homtom lineup of devices. Probably this is why the stock of HT6 devices that are on sale is limited to 10 units on daily sale for the 7 days the Homtom Brand Sale lasts. If you manage to be one of the first 10 people to place your order for the Homtom HT6 on any of the days between January 19 and January 25, starting every day at 17:00 (GMT+8), you can get the smartphone for only $99.99 instead of its $122.99 price. This amount will get you a smartphone that has a simple but pleasant design, with a 5.5-inch 720p display that will deliver a good visual experience. The HT6 is powered by an MTK6735 64bit quad-core processor that is clocked at 1GHz and has a Mali-T720 GPU. Unlike its previously presented siblings, the Homtom HT6 has 2GB of RAM and 16GB of internal storage to brag with, but it only supports up to 32GB external storage, so, in the end, users will get more overall storage with the HT3 and the HT7 than with the HT6. Another feature that impresses about the HT6 is its camera system. The smartphone sports an 8.0MP (SW 13.0MP) back snapper and a 2.0MP (SW 5.0MP) front-facing camera which will be perfect for video calls and selfies. The Homtom HT6 runs on Android 5.1 Lollipop, so users will be able to download all their favorite apps, games, and music from the Google Play Store. The main feature of the Homtom HT6 is definitely its huge, 6250mAh battery that is able to ensure up to 7 days of average use on a single charge. None of the high-end smartphones that are currently on the market can do that, so we must admit that the Homtom HT6 is truly amazing, at least from this point of view. The last product on the Homtom Brand Sale lineup is the Homtom HT5 which customers can purchase for only $79.99 if they order the device on any day of the brand sale starting 17:00 (GMT+8), and they are lucky enough to be one of the first 20 people to do so. In case you would like to have the smartphone but don’t manage to get your hands on one of the 20 pieces that are on sale every day, you can still order it for its regular price, which is already quite low, only $103.99. 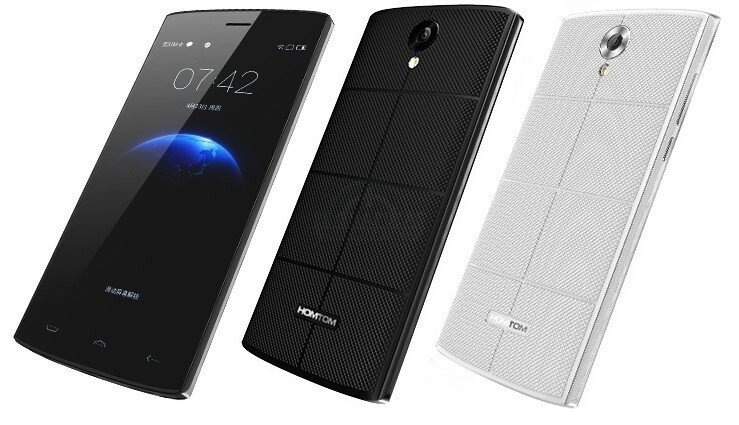 Jut like the HT7, the Homtom HT5 has a unique pattern on its back plate that will definitely turn some heads. The smartphone is available in black apricot and ebony color variants, so users can choose the one they most prefer. The HT5 seems to be a combination of features taken from the HT3 and from the HT6. It has a 5-inch display with 720p resolution, and it is powered by an MTK6735 64bit Quad Core processor clocked at 1.0GHz. It includes 1GB of RAM and 16GB internal storage and supports up to 32GB of additional storage. The dual SIM dual standby smartphone is equipped with the same 8.0MP (SW 13.0MP) back snapper and 2.0MP (SW 5.0MP) front-facing camera as the HT6, but it has a smaller battery than its larger sibling. Even though it doesn’t sport a 6250mAh battery, the Homtom HT5 is still quite impressive as it’s able to last for up to 5 days on a single charge thanks to its 4250mAh battery. That is not bad at all, especially if you manage to be one of the first 20 people to order it on any day of the Homtom Brand Sale and get it for only $79.99. As we already stated, all the smartphones that are on sale these days on Gearbest’s Homtom Brand Sale are great, and they are all available for incredibly low prices. Customers only have to decide whether they want a 5-inch or a 5.5-inch smartphone, a larger, or a smaller battery, and order the model that is perfect for them. Whichever they choose, they will definitely not be disappointed by their new gadget.